Over recent months, I’ve switched my allegiance from shaving creams to shaving soaps, but it was like revisiting an old chum at the club. A small amount of cream provided a full rich lather and what’s more, it didn’t dry out, which some creams have a tendency of doing. A pleasing smell too. To date, I’ve never been one for post shave balms. I usually splash a little Bay Rum aftershave on or use the remnants of the lather on my brush, giving my face a final coating before rinsing with cold water. After using this post shave balm though, I’m converted. 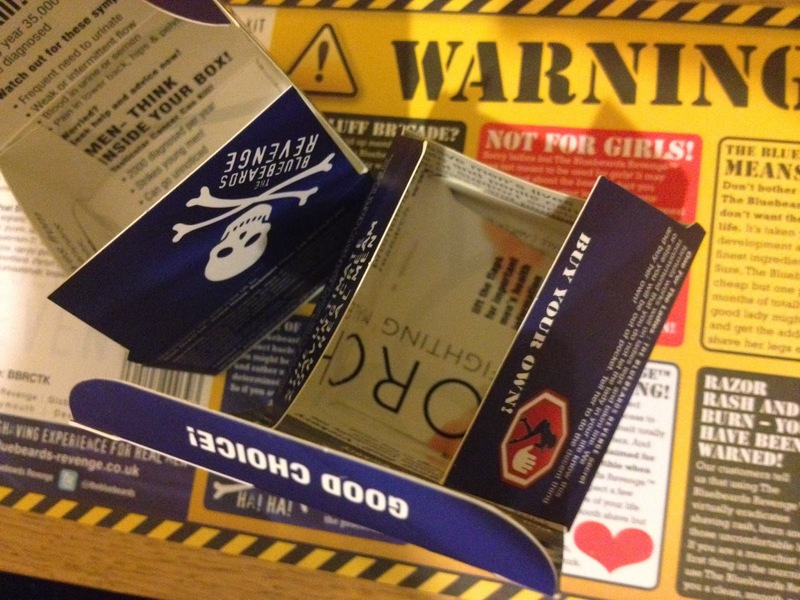 It left my skin feeling reinvigorated and the old nostrils certainly approved of the scent. As did my beloved, who raced to my face quicker than a war horse at the sound of the bugle. A reaction like this is not to be sniffed at, chumrades. Or perhaps it is. Interestingly, it contains a blend of ingredients referred to as ‘Decelerine’, which claims to reduce beard growth, over an extended period of time. Naturally, I can’t comment on this after a fortnight of shaves. Made of the noblest of plastics, the shavette is a tool to be treated with the utmost of care. 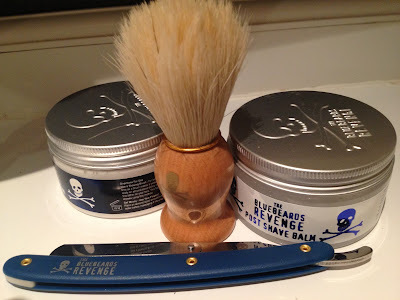 The bolshy upstart cousin to the straight razor, the difference being that the shavette uses disposable razor blades (snapped in half), whereas a straight razor must be stropped and sharpened. Despite the impending doom of scraping an open razor blade onto my face, the biggest snag I encountered was that it was dashed difficult to affix the infernal razor blade. Heeding the instructional pamphlet, I snapped the razor blade in half (which was actually quite simple), but found the tricky part was closing the blade holder over the open blade. After struggling for a few minutes, I did what any Englishman would do. I paused briefly with a cup of tea and some homemade biscuits before having another whack at it. Once it was all tickety boo, I was ready for my first excursion along the rocky path of the shavette. 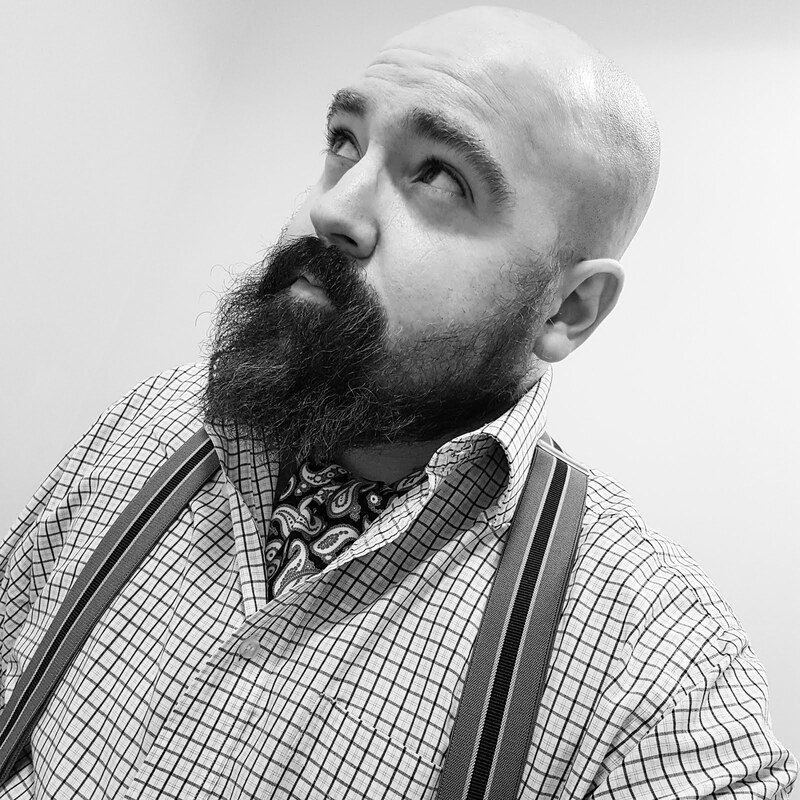 You may not get the luxury feel of some of the more expensive cut throats on the wet shave market but at least it provides one with the chance to decide whether cut throat shaving is for you. There is a definite skill involved. It’s not in my nature to fly off half-cocked, as it were so before putting blade to skin, I conducted a little research on OnesTube. I’m jolly glad I did as otherwise, I may have made a hooting horror of my face. I am certainly interested in expanding on my cut-throat shaving skills. After all, wounds do heal, even if you do catch yourself with a juicy one on the neck. It would be unfair to compare this shaving brush to the Edwin Jagger or New Forest badger-haired brushes that already form part of my shaving repertoire. Having used the Doubloon, I would happily recommend it as a decent beginners brush or to have as a back-up. The Bluebeard’s Revenge is aimed at men with facial hair that grows at a rate of knots. 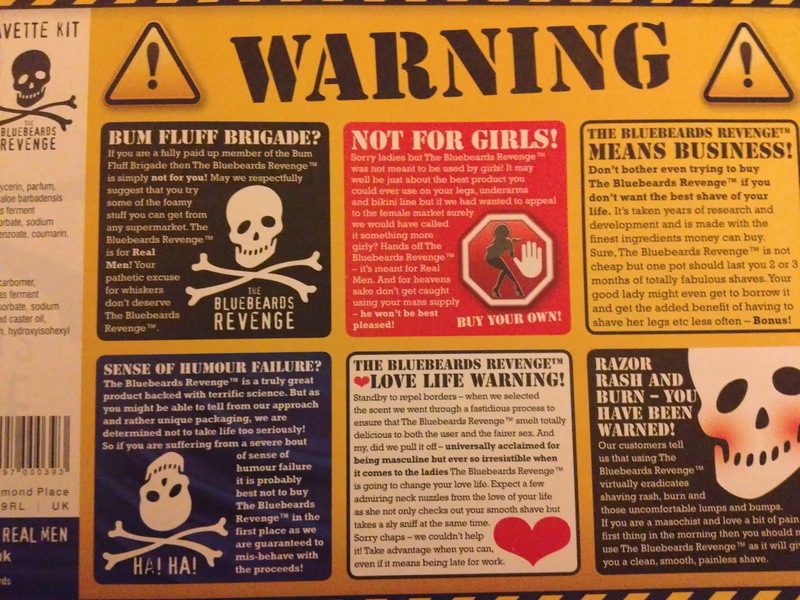 With its ‘Bum Fluff Brigade’ and ‘Not for girls!’ slogans, some naysayers may consider it to be a little immature, but as a fan of tongue-in-cheek humour, I’m rather fond of The Bluebeards Revenge brand. In a world of grey monotony, it’s a fun distraction. 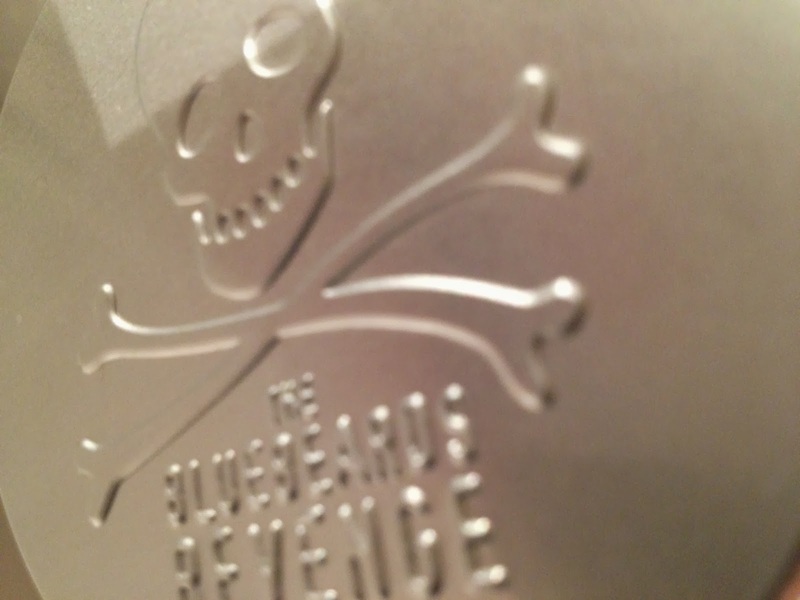 Plus, it makes me think of the Disney caper, Blackbeard’s Ghost, starring the delectable Suzanne Pleshette. Anything that stirs up memories such as these should only be applauded. Altogether I think it is a splendid shaving set and I am sure I will use it many times as part of my morning routine. If I’d have to suggest an improvement then it would be the ease of blade installation for the shavette. 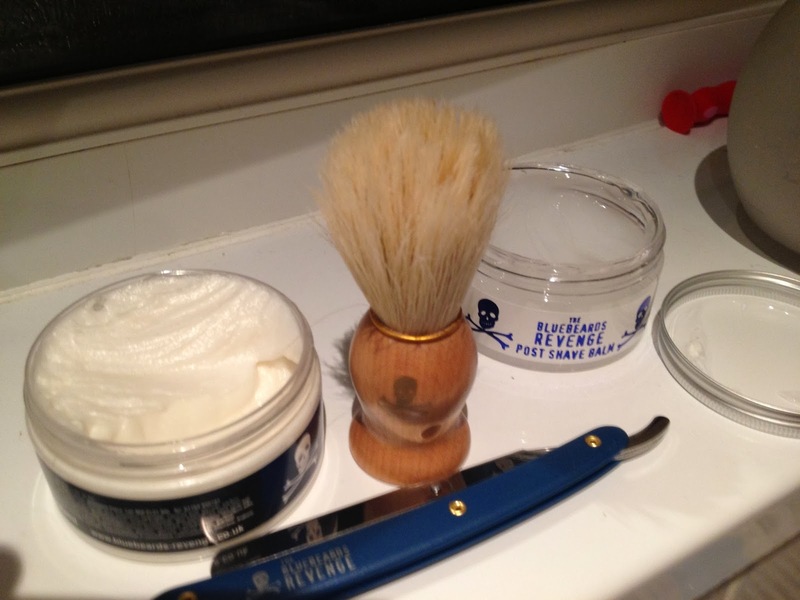 I was enormously impressed with the shaving cream and post shave balm, as was my beloved. 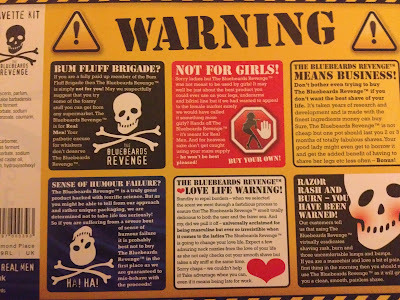 Perhaps it is for girls, after all.